I'm back in Kuwait. I was driving home from the airport when I noticed the temperature - something we take for granted here. It's hard to describe where forty-plus-degrees-celsius-heat comes from when the sun is nowhere to be seen! 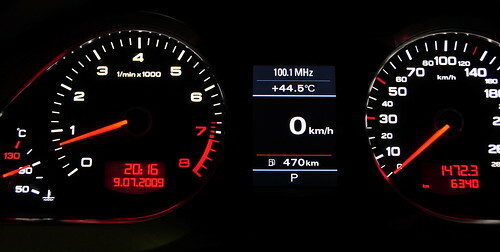 Look at my car's thermometer after 8pm and more than an hour after sunset. Too much heat for me. I cannot stand it really hot. Sometimes I miss snow. Looks like your car is still new. This is a loan car while they fix the bumper. It was hit whilst parked on my driveway - the coward drove off! What make/model is this? And what do you drive? 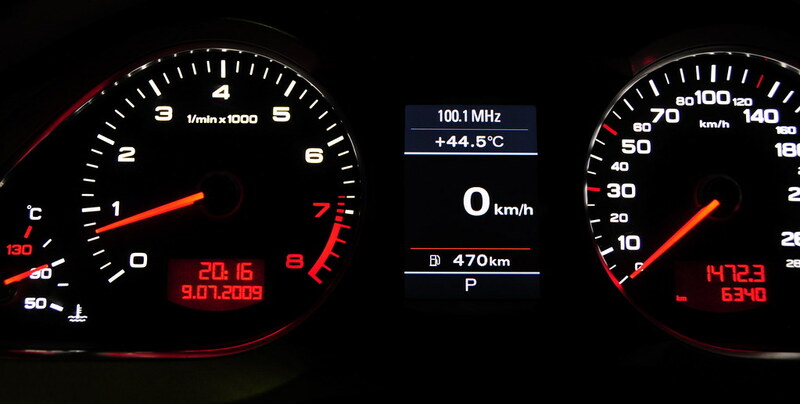 I like the dashboard on this car... *a LOT*! Audi A6. A lovely car. I honestly don't mind the heat, I prefer staying here in the summer rather then leaving because the country is mostly empty which is pretty good.